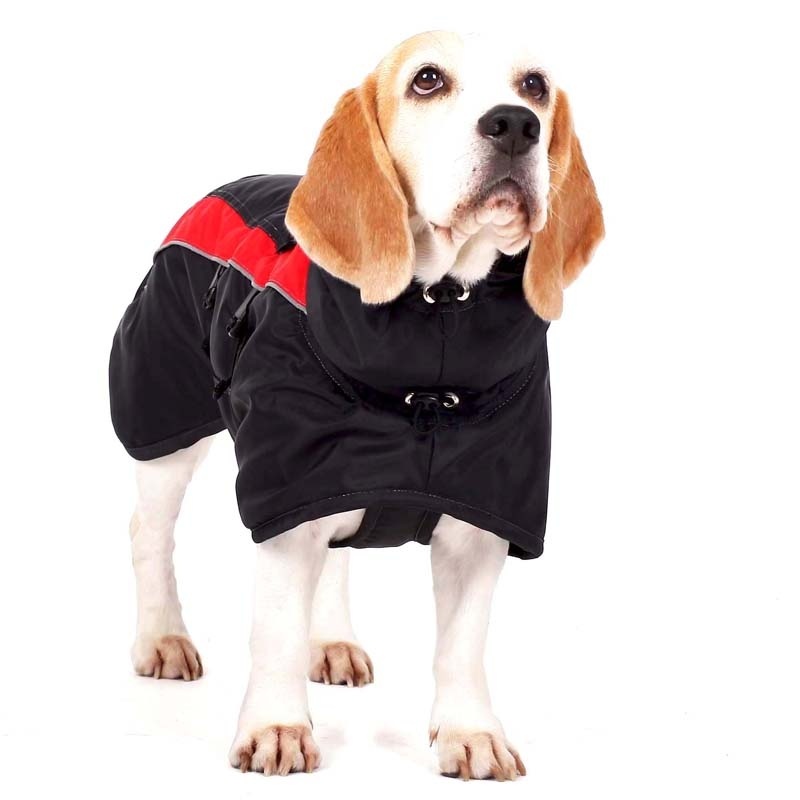 Warm and comfortable jacket is made of water resistant material. 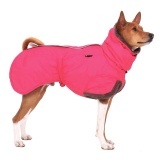 The abdominal part perfectly covers chest and belly. 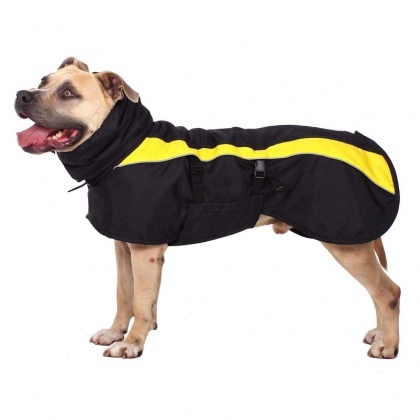 The symmetrical closure on sides prevents sliding of the suit. 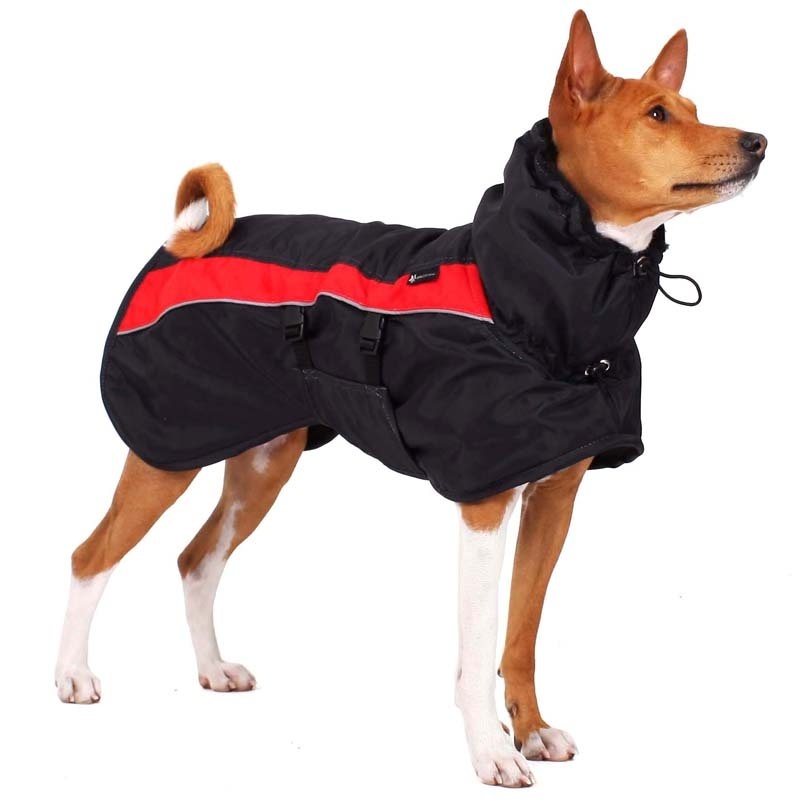 The long collar protects neck against cold and the neckline is good dimensioned also for robust dogs. 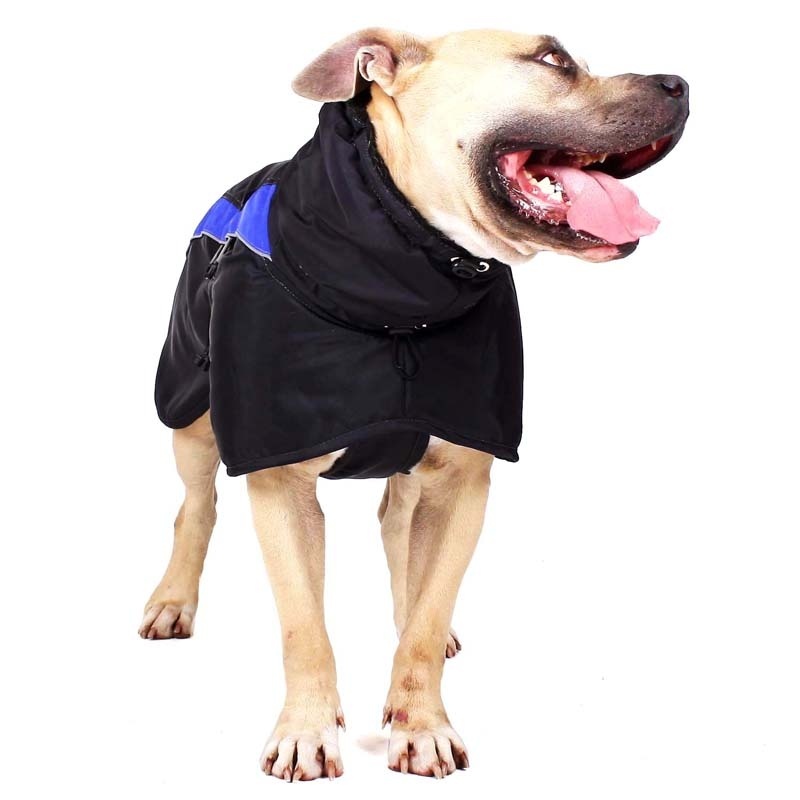 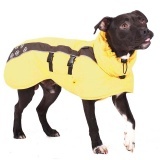 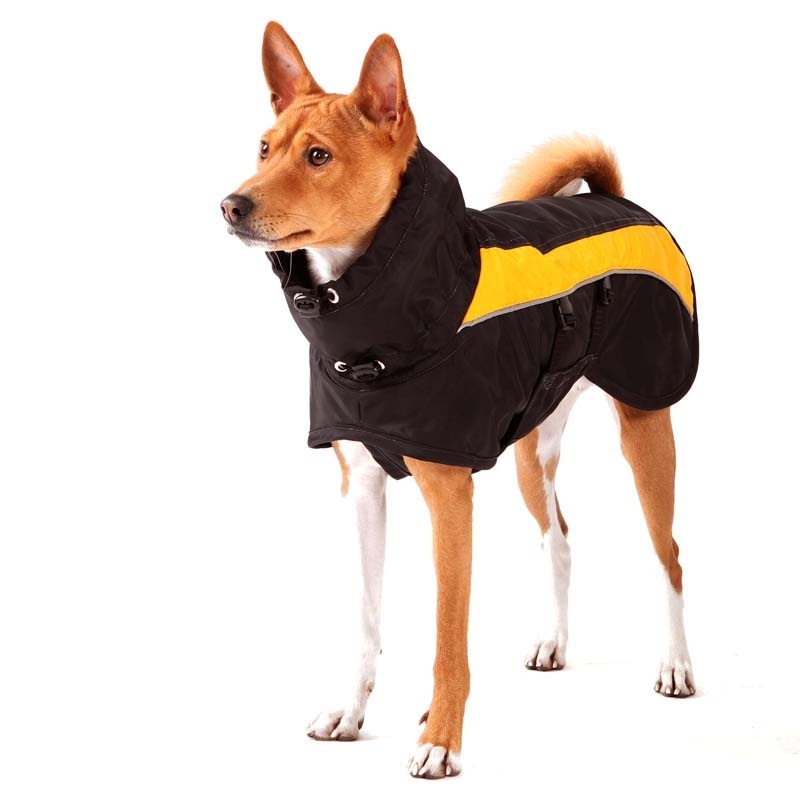 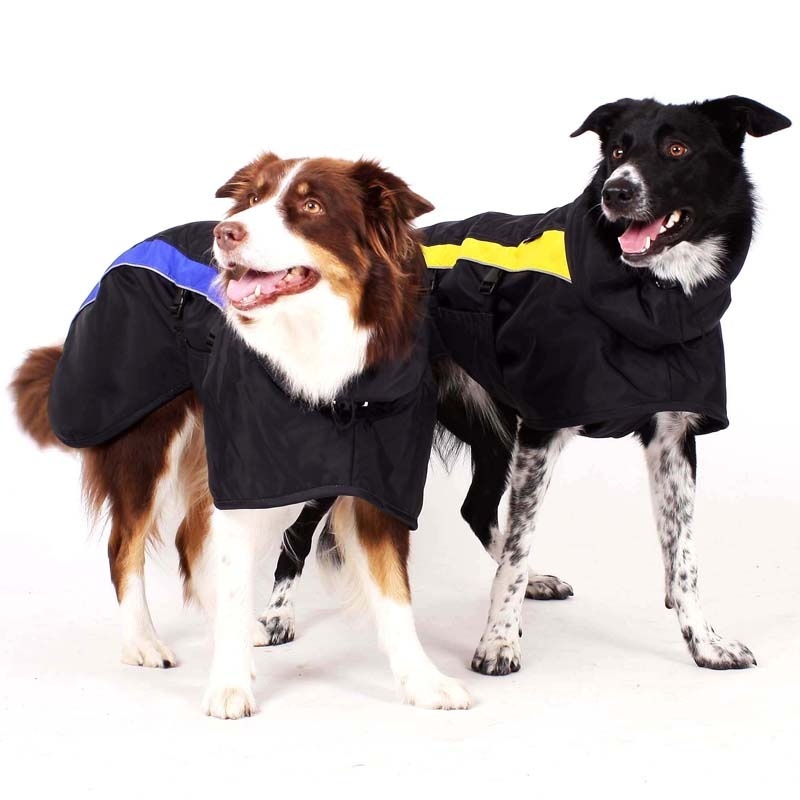 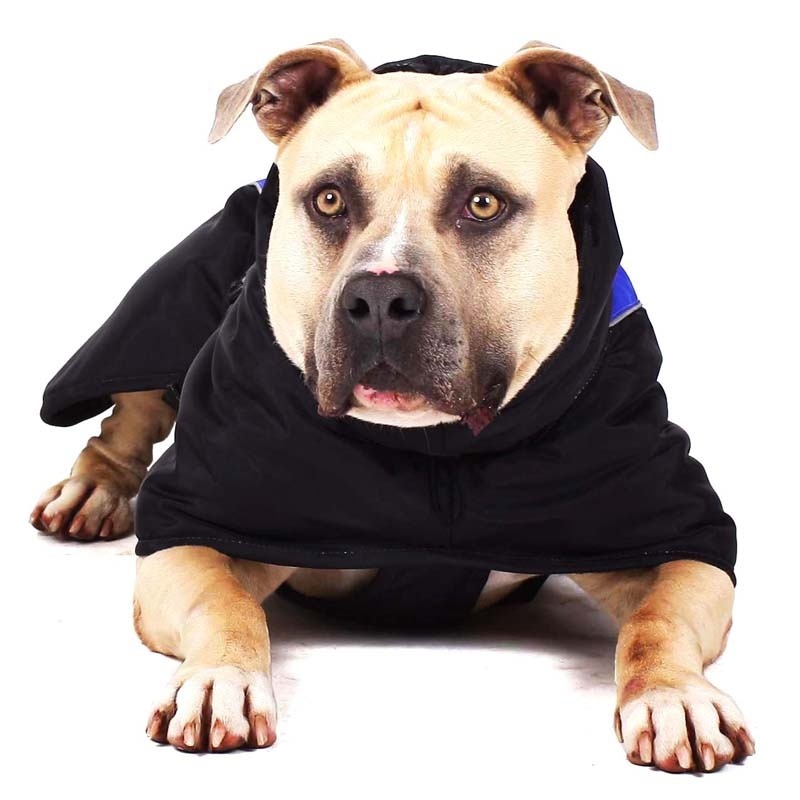 The adjustable closure and the reduction around the neck allows to use this jacket for a wide range of breeds. 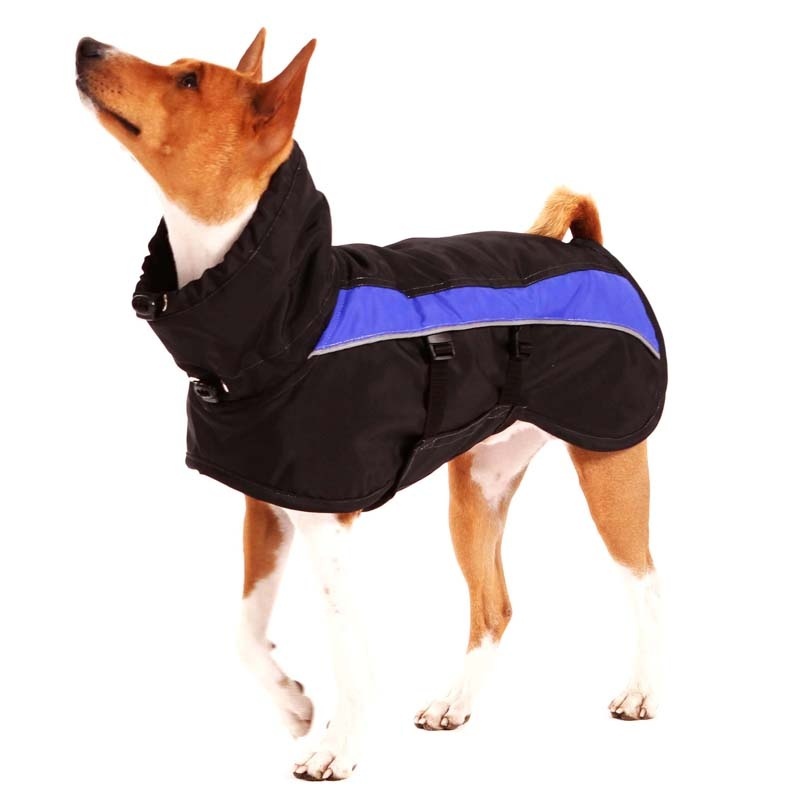 Upper material has water-repellent finish. 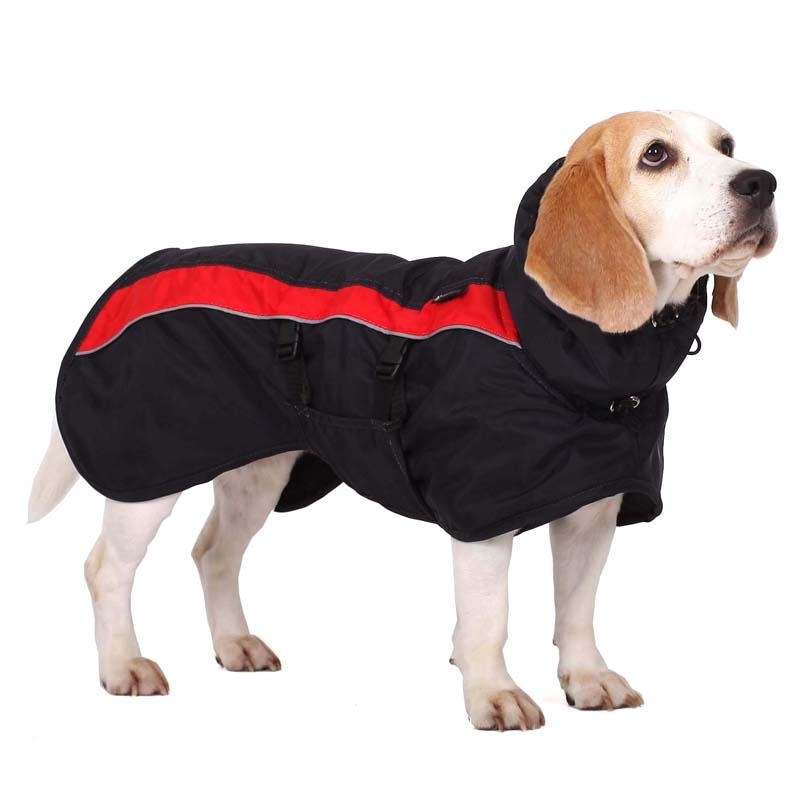 The lining is from artificial fur (PES). 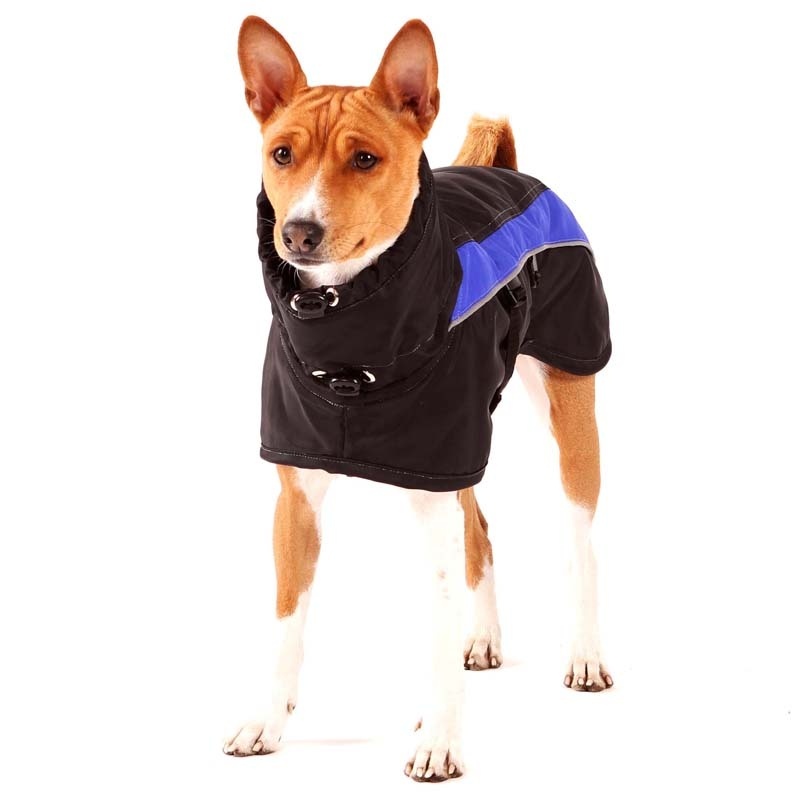 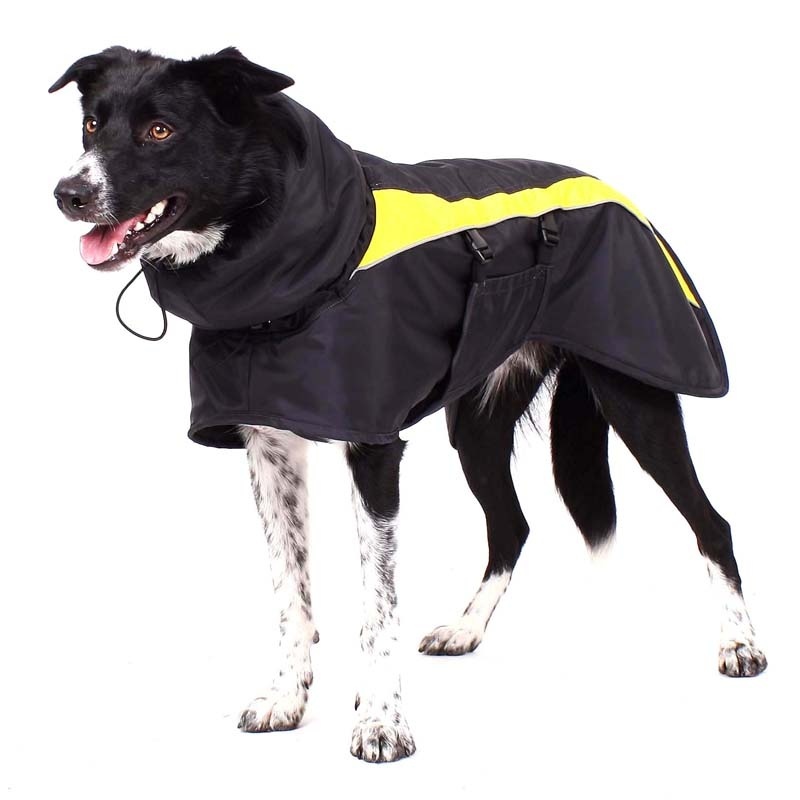 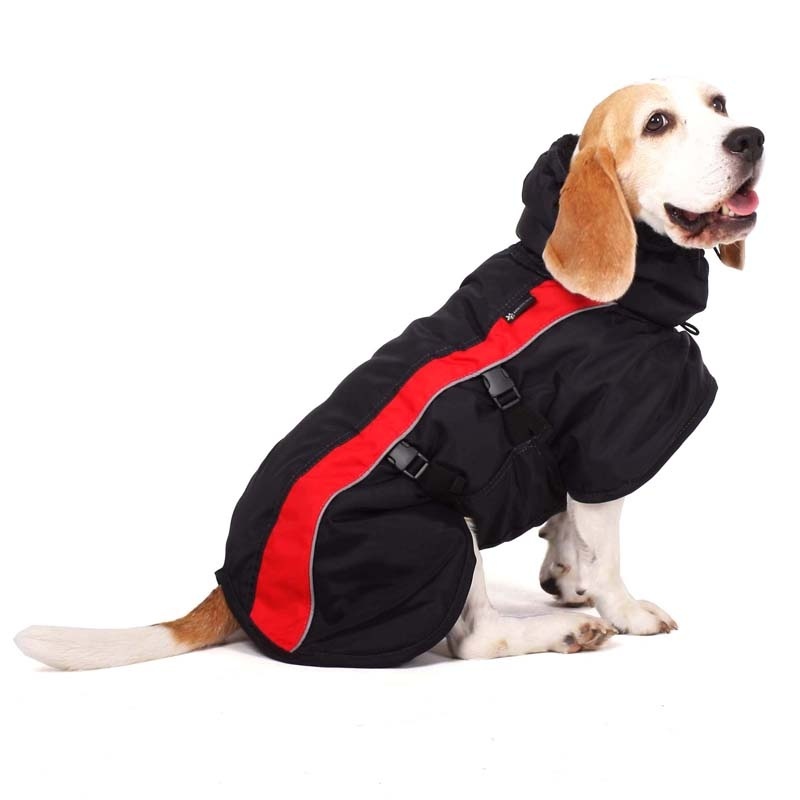 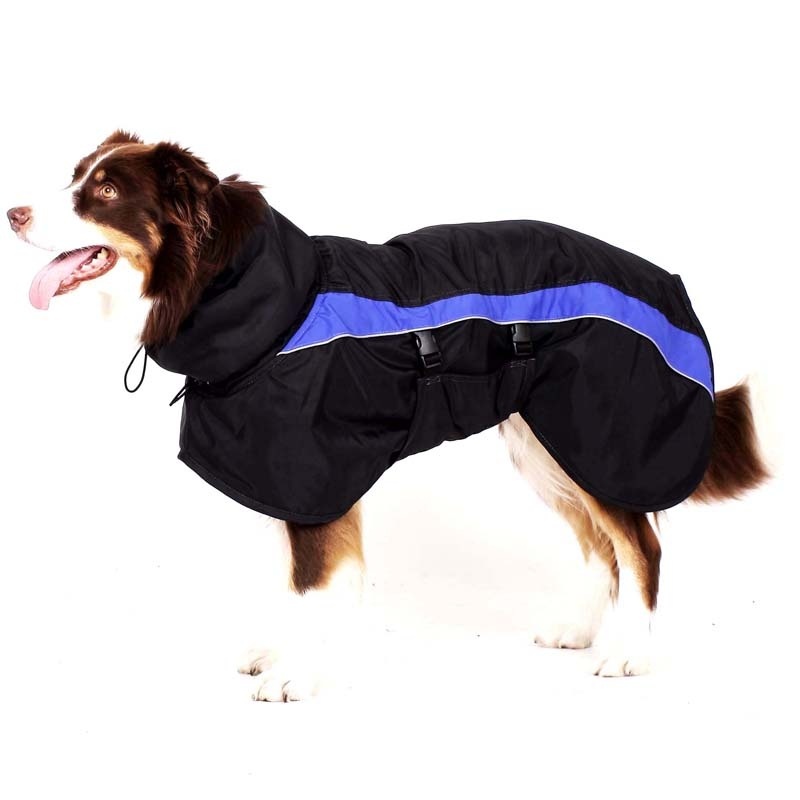 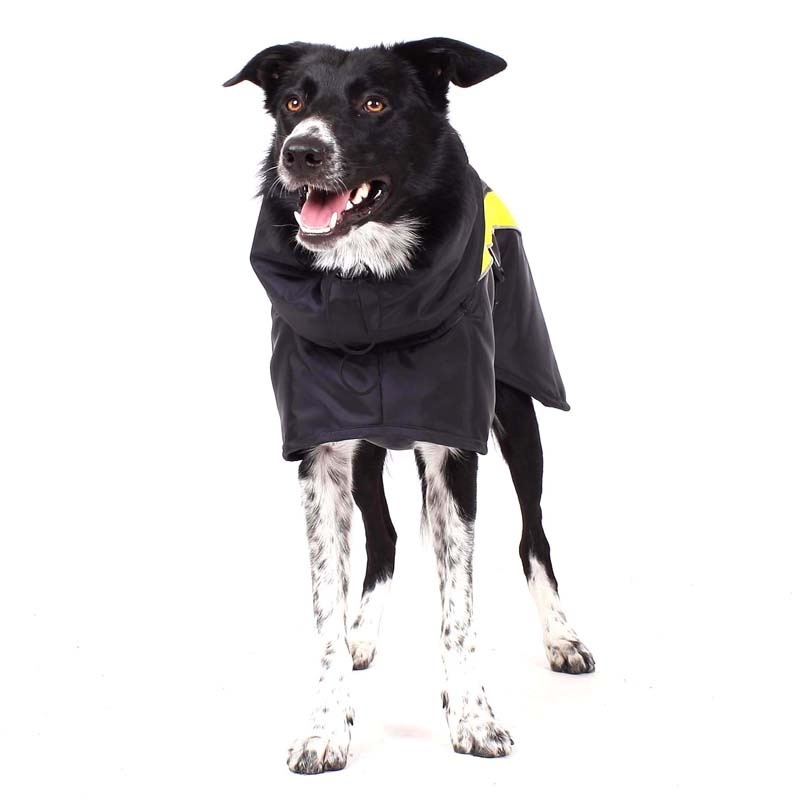 The jacket is fitted with reflective stripes for better safety of your pet.